With that, I hope you’ll be terrified today and that it will push you to do something you wouldn’t normally do. And I’ll do the same. thanks for sharing the inspiring quote, krystal! love your look as well. Beautiful quote and I love this look! Great quote! I like the skirt with the heels…very flirty. Fabulous and chic outfit!! Love your style! Fabulous skirt. What a great versatile piece. Great quote! this look is amazing! would be honored if you checked out my blog! 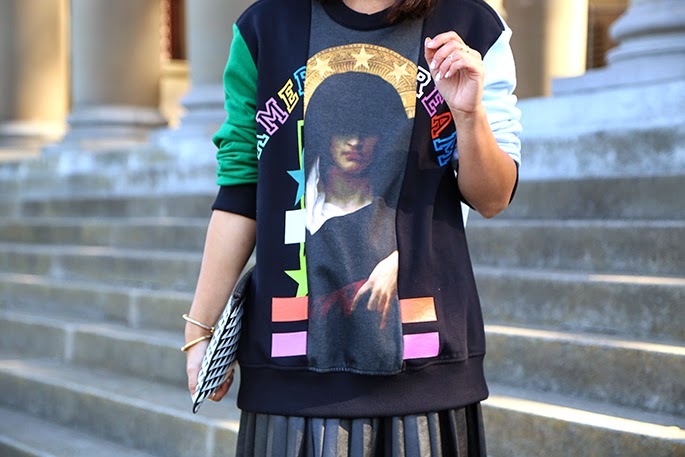 love love that sweatshirt! Great look!!!!!!!!! Your outfit is so fitting for an art exhibit. 🙂 Glad you bought that sweater – great find! 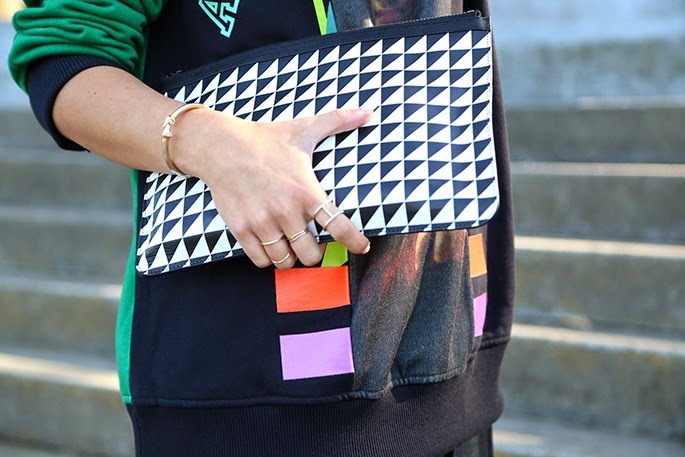 Love that Proenza Schouler clutch! love the oversized sweater with the skirt! I'm loving that printed sweater, super cool!